Let me start with this one crucial piece of information – KIDS GO FREE! So now I’ve got your attention I can tell you more about the family fun you can have at the races. 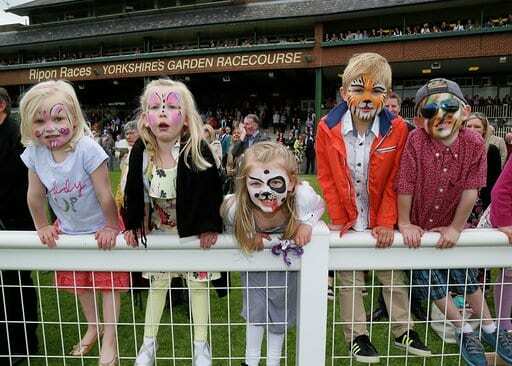 There are nine racecourses in Yorkshire and each one hosts at least one family day throughout the year. 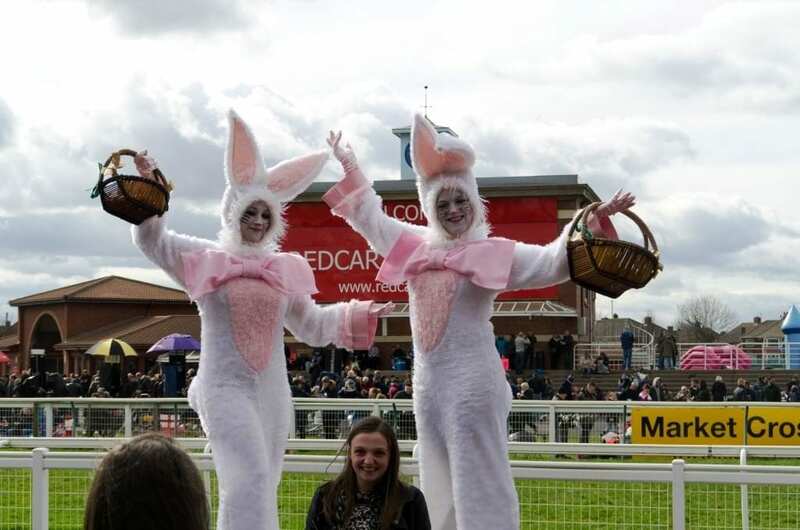 The flat season started in March and there are nearly three times as many racedays in our glorious county as there are school holiday days, so plenty of opportunities for you to have an excellent value for money day out, while the children have masses fun. With plenty of space to run around and burn energy you can be sure of a good night’s sleep too! The family days are usually themed, with a whole host of free or low-cost activities taking place over the course of the afternoon, mainly in the family enclosure (that’s the cheapest one for paying adults.) Meet TV characters from Paw Patrol, train with Hull FC, get scarily close to dinosaurs, have a brick adventure, learn circus skills and play with pirates! 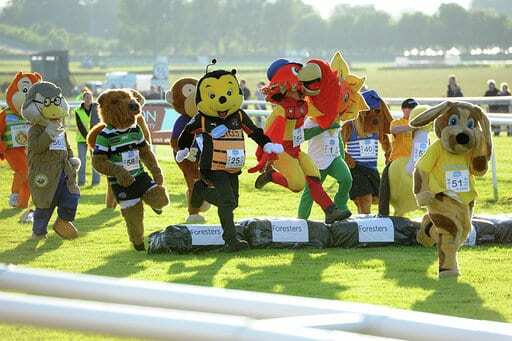 There will be live music, animals to pet and a carnival atmosphere. Add to this face painting, bouncy castles and fairground rides and you really have got each second of the day accounted for. Bring your own picnic or try some of the delicious catering from the racecourse and don’t forget the ice-cream van! 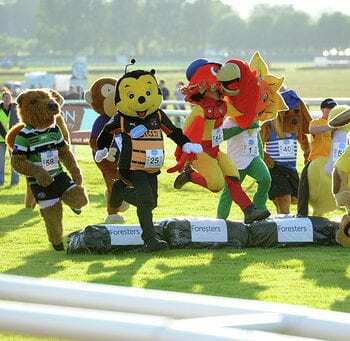 Get close to the racing action and watch the magnificent horses stride down the final furlong as their jockeys tactically encourage them to be in the right place at the right time – in front! 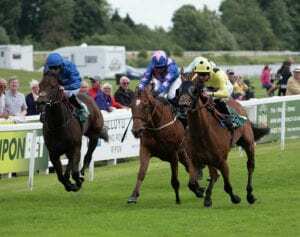 Take the chance learn a bit more about the sport and its participants, be it horse, trainer, jockey or owner. 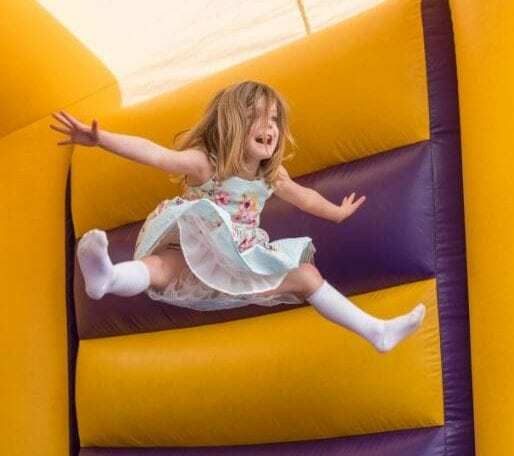 This Easter holidays visit Beverley for seasonal fun on Wednesday 17th April where you can decorate your own egg, enjoy mini funfair rides and for a small charge visit the face painting marquee and the giant trampolines. 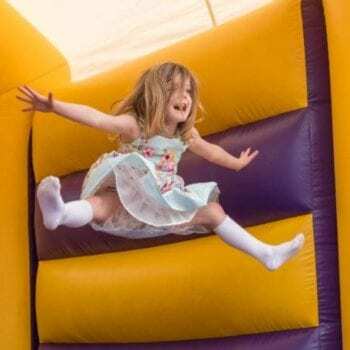 Ripon’s Easter fun takes place on Thursday 18th April and features a mini farm, face painting, free chocolate, balloon modelling and bouncy castles. 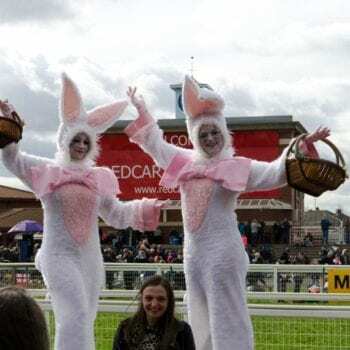 While on Easter Monday Redcar can offer Easter Bunny stilt walkers, bouncy castles and face painting for £1 per go, as well as a free a purpose-built playground. Alternatively visit some racehorses in their own homes at Middleham Stables Open Day on Good Friday. 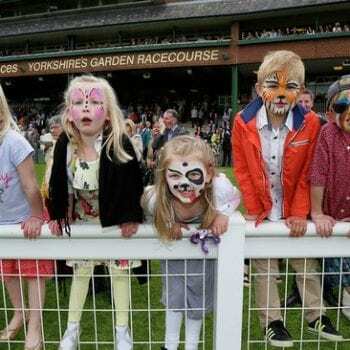 For more details and racecourse specific information visit www.goracing/family-days.